Architecture is ART. Engineering is SCIENCE. ELEMENTs’ chosen path is the marriage of both disciplines. ART + SCIENCE for modern construction. What is Architecture + Engineering? It is the merger of two distinct but interdependent disciplines responsible for some of the world’s most stunning architectural work. Since ancient times, designers have been dependent on those that make their dreams real. And those that execute the designers vision have been dependent on those dreams for inspired architecture. To successfully merge these two disciplines, each must have an empathy for, and an understanding of, the other. Experience in the science of engineering, must be balanced by an understanding of the designers intent. The designer is also guided by the realities of materials and capabilities. 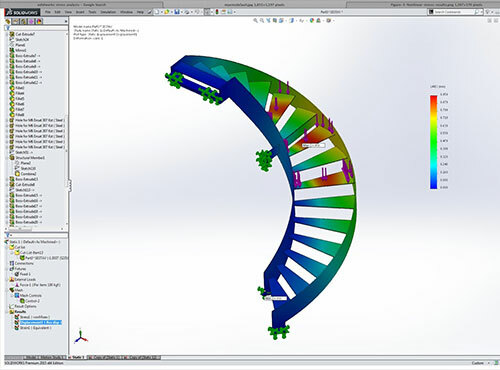 This balance of art and science ultimately becomes dependent upon a few key areas of knowledge and experience; Design Development, Materials Sciences and Engineering Analysis. Naturally all great architecture begins with an inspired concept. This concept must be put to paper in order to communicate the Designers intent. As difficult as it may be, it is at this stage that consideration of the real world methods necessary to achieve the intent is advantageous. 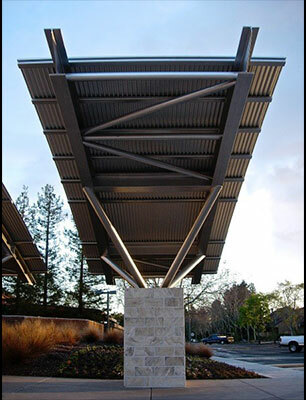 Materials, Engineering and Fabrication may impact some or all of the design. Unfortunately, budget constraints are also common and these factors all unite to form boundaries and limitations that designers must work within. 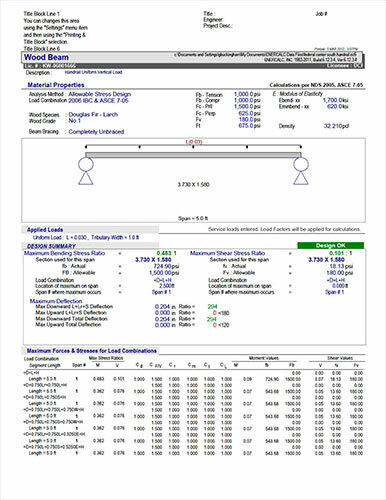 In reviewing a proposal for custom architectural work, ELEMENT conducts an analysis using it’s DMFI Review, identifying challenges and issues related to the Design, Materials, Fabrication and Installation aspects of the proposed design. This proprietary process has been developed over decades and brings a formal, logical methodology to what has historically been a somewhat random process. The DMFI review allocates a numerical value to details of a proposed design to assist in identifying and quantifying those aspects of a proposal presenting the greatest risks to cost or schedule. This process distills our experience into one clear document that serves as a template for further analysis and problem solving. ELEMENT applies an enquiring and analytical approach to problem resolution in a logical and disciplined manner. We present options and solutions in a clear unbiased format to simplify decision making and we remain focused on developing the most cost effective and practical solution once a way forward is chosen. The modern world is replete with materials from which the architectural community may draw. Over time many and varied materials have arisen as a direct result of mans mastery of raw materials and processes. 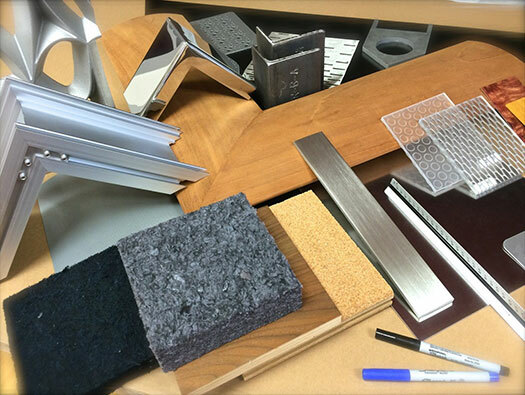 Being well versed in such a wide range of materials is becoming increasingly difficult for designers and contractors. The pace of change is relentless and it has become a full time occupation to keep abreast of these developments. In addition, innovation in design has placed ever increasing demands on materials for usability, strength and environmental impact. 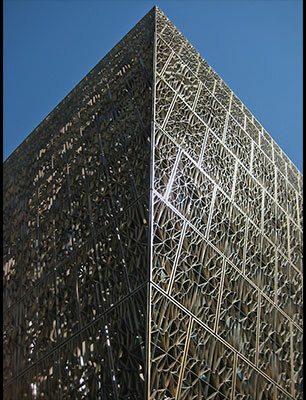 Naturally, with many options for materials, the selection of appropriate fabrication, finishing and assembly techniques can be challenging. Here, we offer advice and physical samples to ensure our Clients’ expectations are met. ELEMENTs’ extensive background in metal finishes provides the client with options beyond those normally commercially available. Custom finishes and effects are no problem. For an example of how ELEMENT can provide an innovative solution for a cosmetic finish, click here. Of course knowledge of materials and design are only the first steps in taking a design from concept to reality. An equally comprehensive level of engineering ability is essential. To this end ELEMENTs’ engineering capabilities support this knowledge of materials with sound and sophisticated analysis and calculation tools. 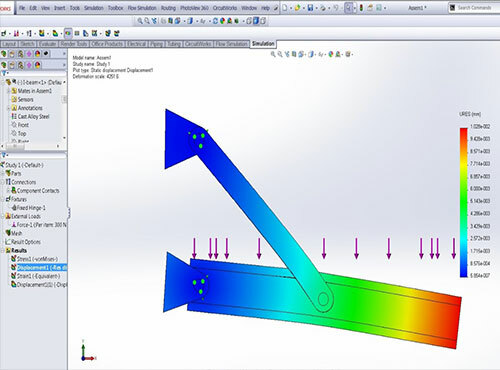 By using the latest software and analysis techniques including software that provides stress analysis in the modeling and design process, clients are assured of the most effective and efficient designs, using the correct materials with the highest levels of safety and minimum cost. With the enormous number of city building codes, regulatory requirements, environmental conditions and risk factors to be taken into consideration, cutting edge construction requires cutting edge materials, technology and techniques. For an example of how ELEMENT can provide an innovative design and engineering solution, click here.